Texas elected officials and numerous University supporters and faculty members joined UTA President Vistasp Karbhari to break ground Thursday, Oct. 27, on UTA’s new $125 million Science and Engineering Innovation and Research building, which will be the signature research and teaching facility for advances in Health and the Human Condition at UTA. See the SEIR building's design. Watch the video. LEARN MORE. 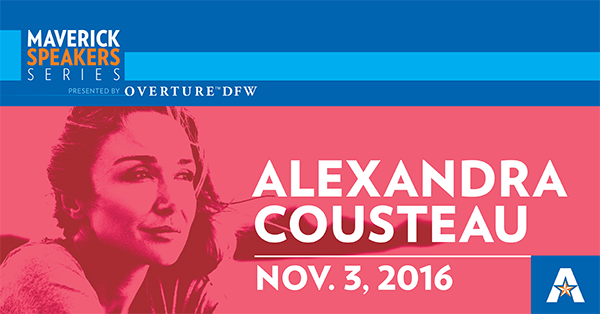 Claim your tickets now to hear environmental advocate Alexandra Cousteau at the Maverick Speakers Series event Thursday, Nov. 3. A National Geographic “emerging explorer,” filmmaker, and globally recognized advocate on water issues, Cousteau will discuss "This Blue Planet: Preserving and Sustaining a Healthy Earth" at 7:30 p.m. in Texas Hall. Preferred seating has front-of-the-line access to the venue. 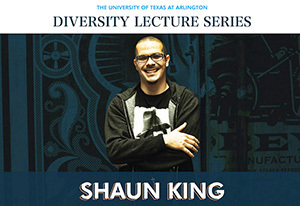 The lecture is free for students, faculty, and staff and costs $5 for community members. Tickets are required. LEARN MORE. Register now to be part of activities for Homecoming 2016 Sunday-Saturday, Nov. 6-12. Enter the Chili Cook Off and the Homecoming Parade by Wednesday, Nov. 2. Sign up for the Homecoming 5K Walk/Run by Thursday, Nov. 10. See the schedule for details. Share your favorite Homecoming moments using #UTAHC16 on social media. LEARN MORE. Lot 33E, north of the Maverick Activities Center, will remain open for two additional weeks before closing for the construction of a 1,500-space parking garage. The lot will close Friday, Nov. 11. Add some extra time to your campus arrival due to growth and construction on both sides of campus. See the parking maps for other options. LEARN MORE. Cast your ballot for the fall campus elections 9 a.m.-6 p.m. today, Tuesday, Nov. 1, in the University Center Gallery in the E.H. Hereford University Center. Fall elections are for Homecoming king and queen, UTA Ambassadors, and Student Congress senators. 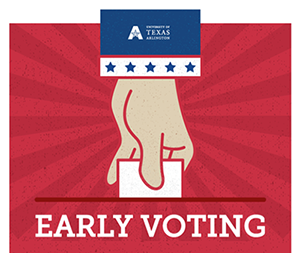 Cast your ballot at the early voting poll for the Nov. 8 election. UTA hosts a polling site 7 a.m.-7 p.m. through Friday, Nov. 4, at the Maverick Activities Center. Learn more about what's on the ballot at the Tarrant County Election Office and the Texas Secretary of State websites. 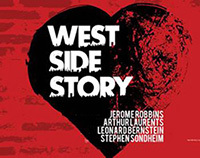 Auditions for West Side Story are open to non-theater and non-music majors Wednesday-Thursday, Nov. 2-3, in the Studio Theatre of the Fine Arts Building. Audition for singing, acting, and dancing positions. The production dates are March 1-5. Find out how to have your research published in Nature and other Nature Research journals. 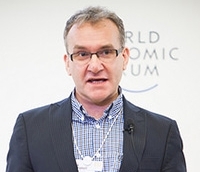 Nick Campbell, executive editor and executive vice president for global institutional partnerships at Nature Research, will speak 3:30-5 p.m. Wednesday, Nov. 9, in Room 147 of the Business Building. New Maverick Orientation is looking for students to become orientation leaders for summer 2017. Apply by Friday, Nov. 4. This month UTA will implement a new online credit card processing system. TouchNet is a third-party online payment system that provides a secure, fast, and efficient way for users to process payments online. With TouchNet, students can access their UTA account anytime via mobile devices or through MyMav; schedule automatic payments; and designate authorized users, such as parents, to view an account or make a payment. Find TouchNet in your Student Center in MyMav and click Make a Payment. If you have questions, contact the Office of Student Accounts in Room 130 of Davis Hall or studentaccounts@uta.edu.